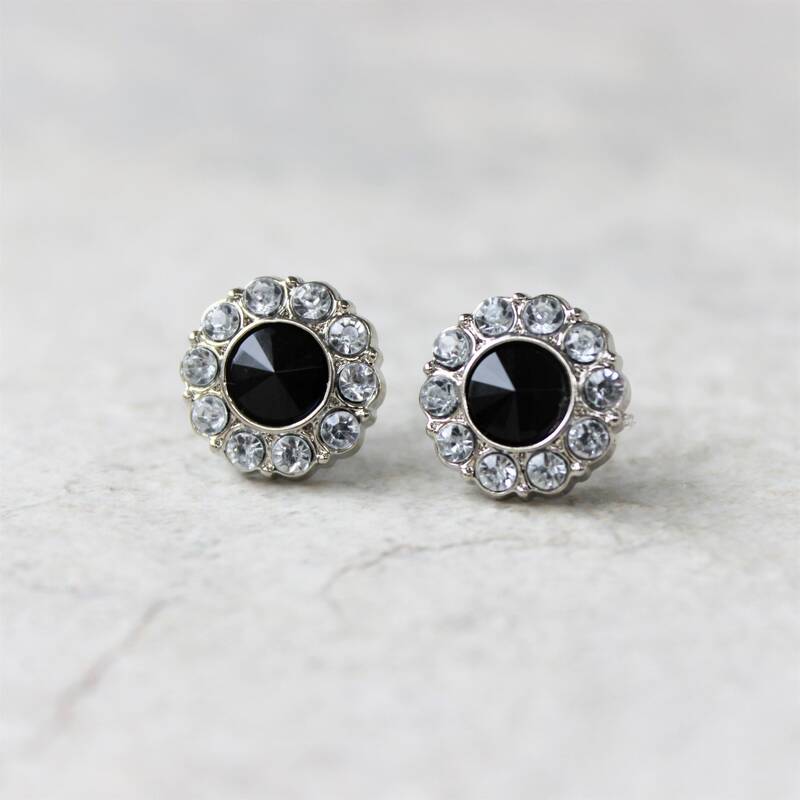 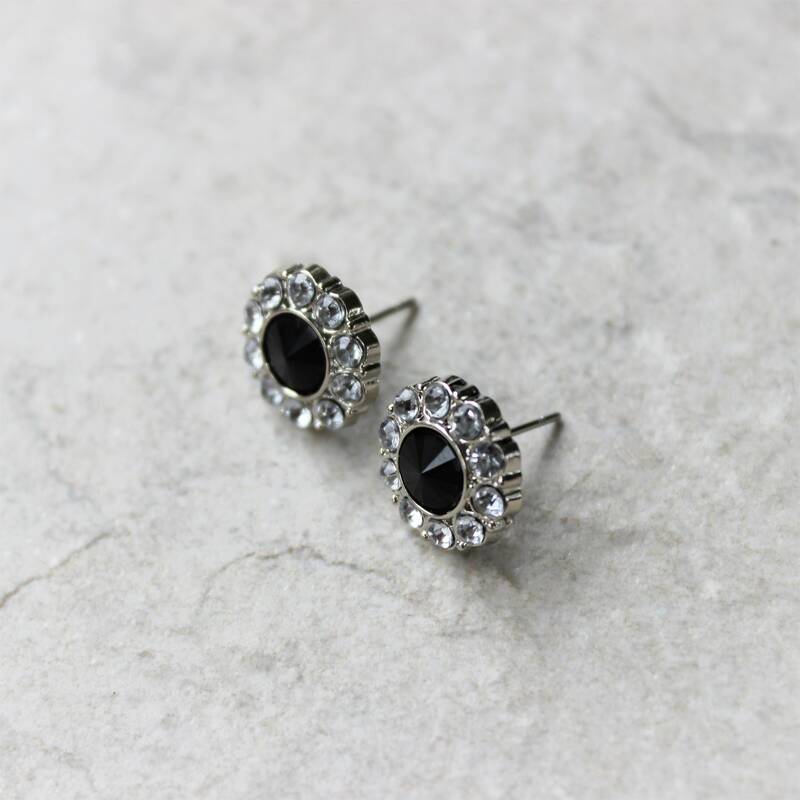 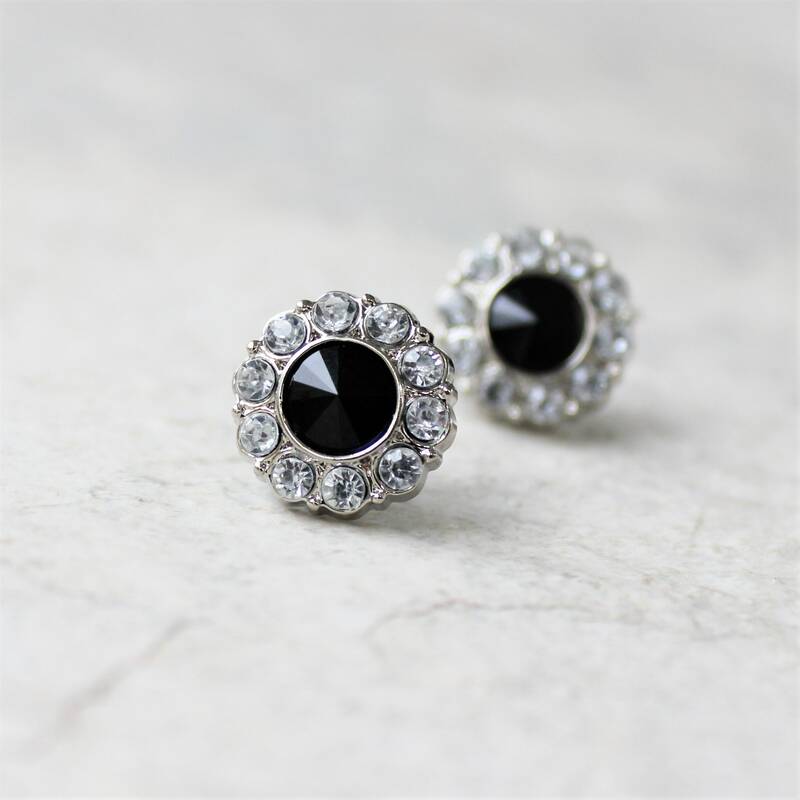 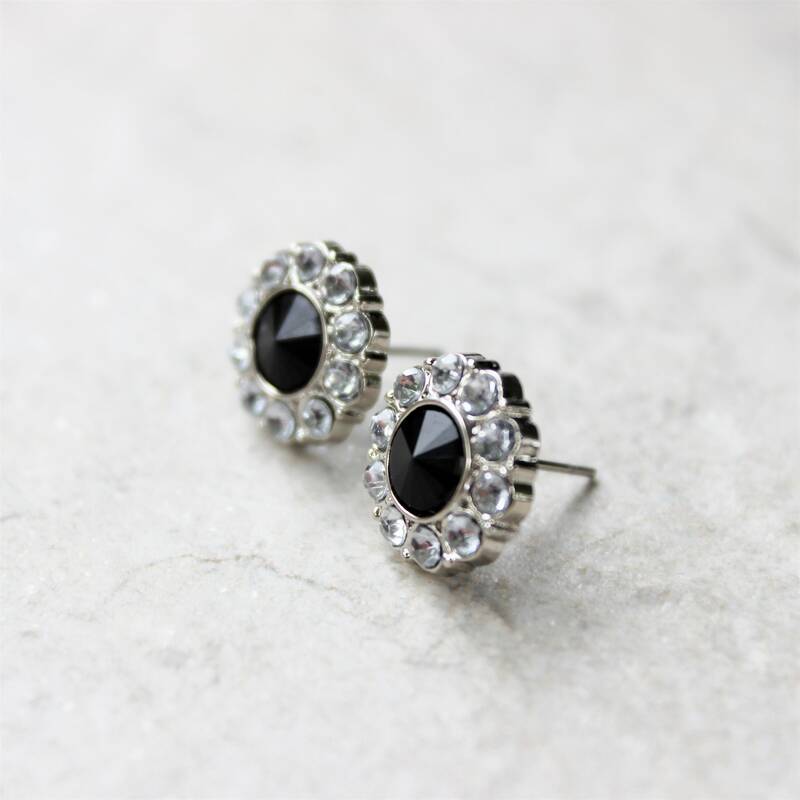 These beautiful black and crystal earrings are perfect to add a touch of sparkle! 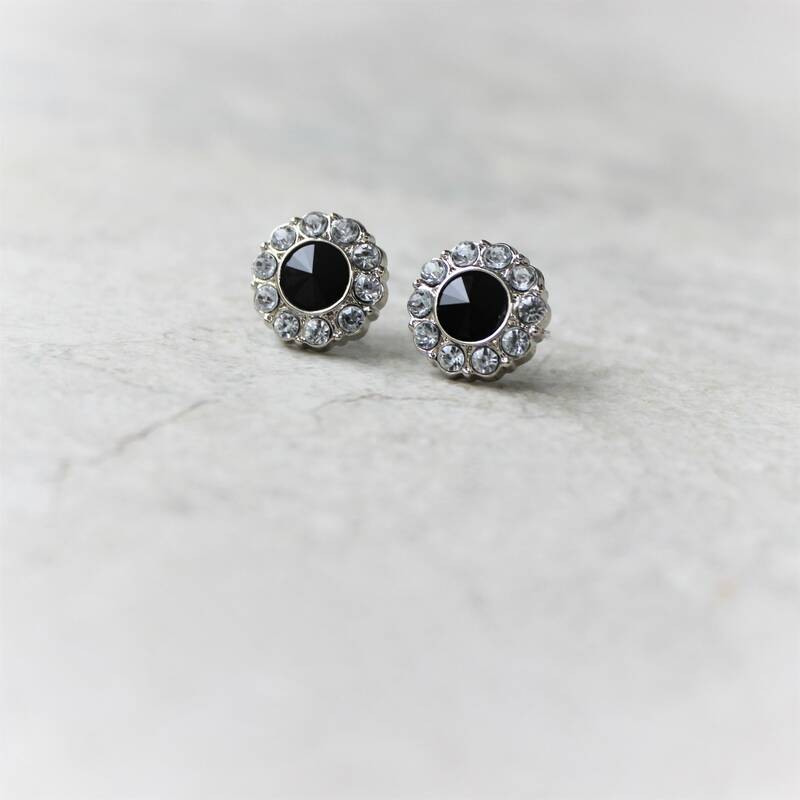 The lightweight acrylic earrings are 1/2" wide (13mm) with hypoallergenic surgical steel posts and disc backings. 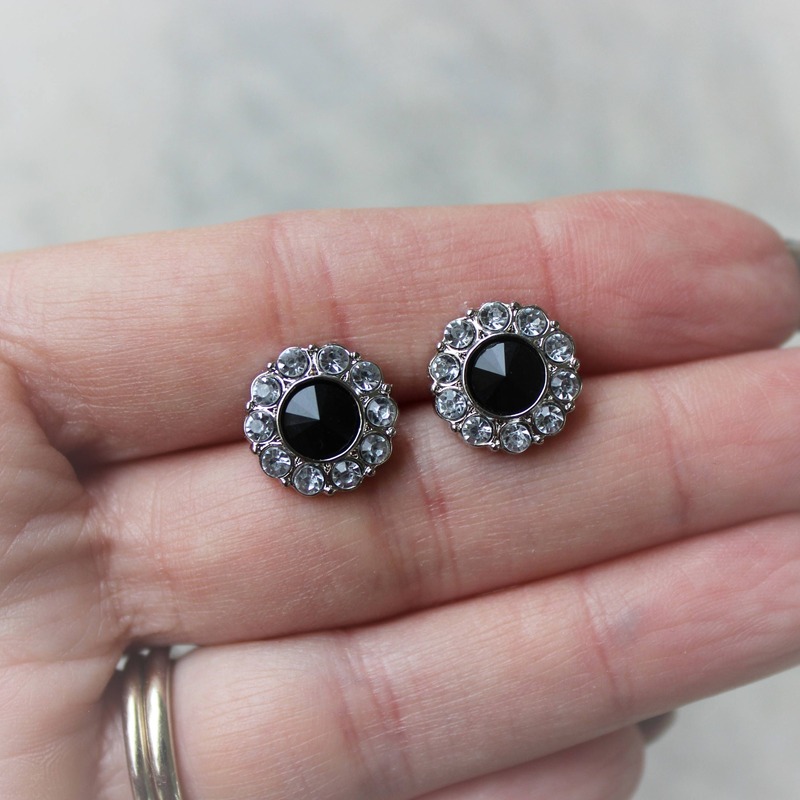 Each pair is packaged in a gift box with bow. 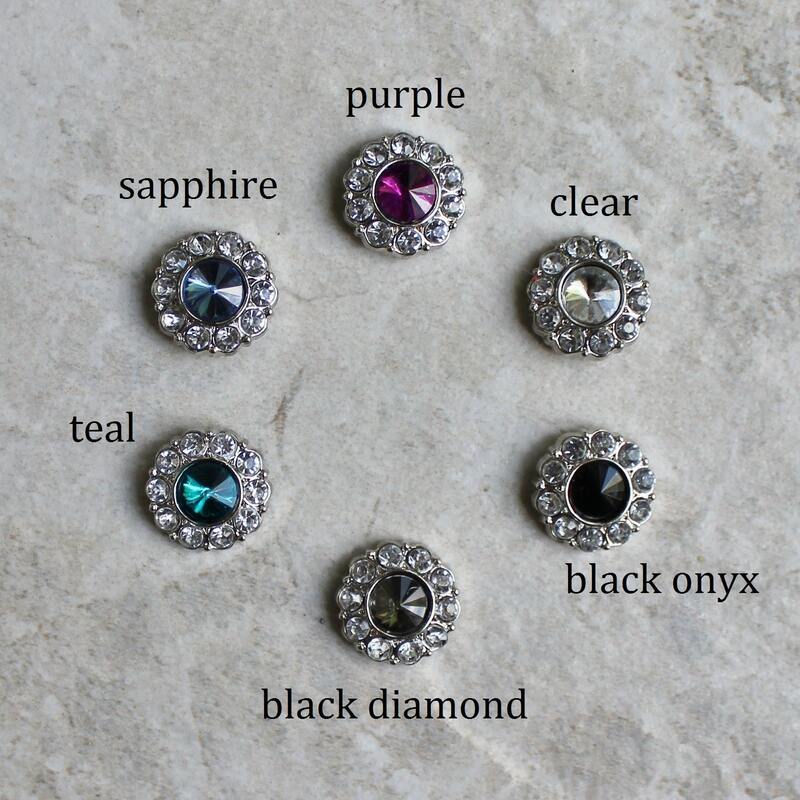 See more color options for the center stone in the drop down menu.